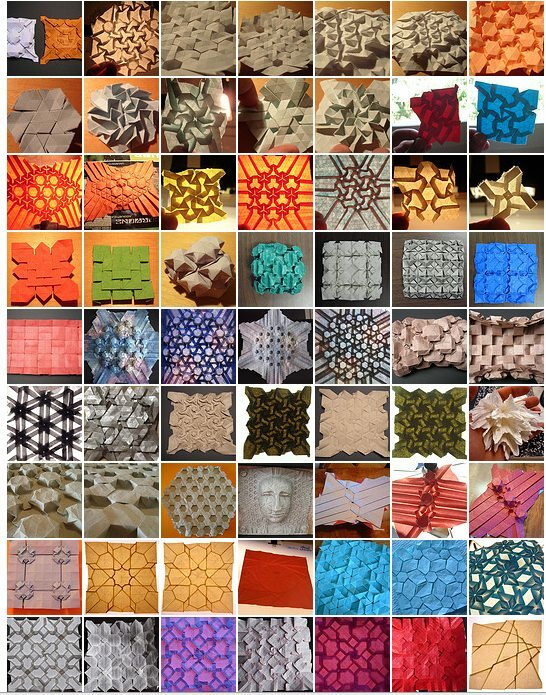 One Year Anniversary – Flickr Origami Tessellation Group! It’s been one year since the Origami Tessellations photo pool was created, and we’re nearing 1000 photos with close to 100 members- with over 20 members who have actively contributed material to the group! This makes me really happy; when I started using Flickr a while back there really wasn’t origami tessellation content on here, and now there’s a healthy, growing community of friendly, fun people. This is all possible because of the positive, sharing spirit you have all shown to each other, and to new members joining in. I’d like to thank you all for being a part of something wonderful, and I hope we continue to share, contribute, and grow for years to come!